A Wall Street analyst Wednesday gave investors a pep talk, invoking the words of the late Apple CEO Steve Jobs to point out the iPhone maker is hardly ready to head for the exit. Instead, Topeka Capital Market analyst Brian White issued a record target price for a stock battered by negative headlines. “In August 2011, Steve Jobs indicated that ‘Apple’s brightest and most innovative days are ahead of it’ and we agree,” White wrote (via BGR). White explained that talk of reduced orders for the iPhone 5 – sparked by a Wall Street Journal report – is due to Apple counteracting an earlier flood of orders placed. Those early orders were pushed through by Apple in response to availability shortages of the new iPhone. On Tuesday, analyst Shaw Wu made a similar point, saying comments of reduced orders was a sign the company had streamlined its supply chain, thus requiring fewer units than earlier demanded by Cupertino. Those traders who can “look through this noise will be rewarded in 2013,” White added. 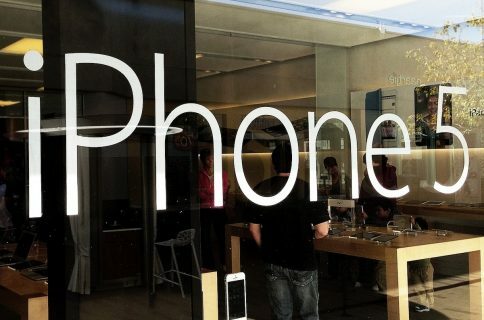 According to latest ChangeWave Research data, half the people still plan on buying an iPhone 5 in the next 90 days and iPhone 5 interest is higher versus the iPhone 4S peak. White points to Apple stock trading at just 6.8 times its projected earnings, yet the stock is down 31 percent from its September high. 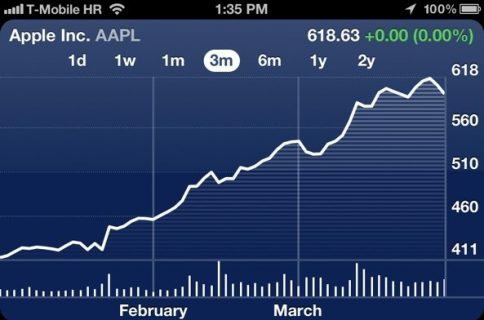 Today he reinforced his “Buy” recommendation for Apple shares, announcing a $1,111 price target for 2013. 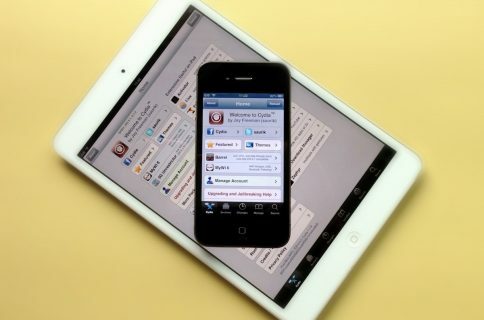 The analyst pointed to two areas which could grow Apple profits even more. First is an iPhone deal with China Mobile, the largest carrier on the globe. For some time, both Apple and China Mobile have hinted at a pact. Discussions even reached a point where Apple CEO Tim Cook traveled to China. The second arena where Apple could be on the verge is reinventing television. White came away from this year’s CES, unimpressed by the current HDTV offerings. “Over the next year or two, we believe Apple has the opportunity to reinvent the TV experience”, he writes. A number of other analysts are predicting an Apple television is on the horizon: the only factor still in the air is when. If Apple gets into the TV market, White envisions the company which reinvented the cell phone and turned tablets from a largely forgotten technology into a new computing segment, could transform the television market from a $100 billion area into a potential $400 billion sector. Yep, Apple is on its last legs – we’ve heard that before, haven’t we? 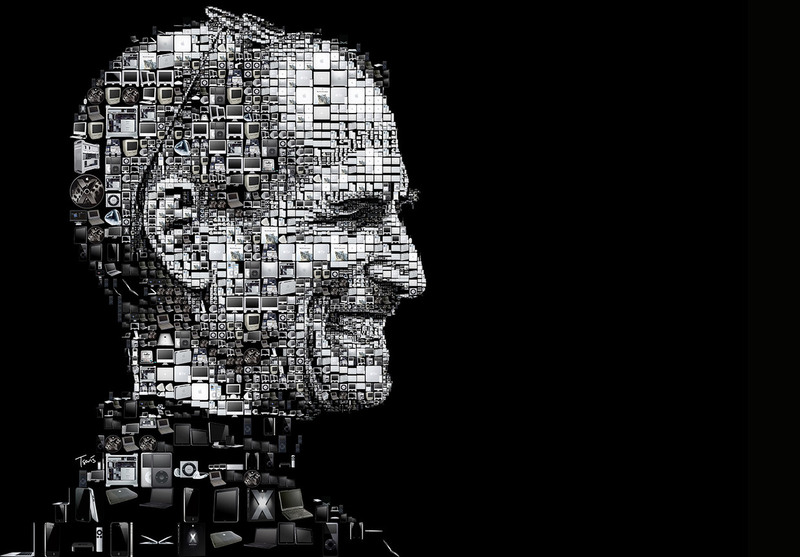 The top Steve Jobs mosaic illustration is credited to designer Charis Tsevis.